Chandigarh is soon going to become a medical tourism destination for North India. 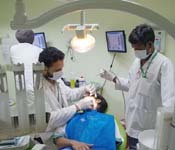 Medical tourism facilities’ are offered by some of the Chandigarh’s hospitals. With the fast growth in industry, the term ‘medical tourism’ has gone up, and from every corner of the world, people travel to other nations for surgical as well as medical treatments, just as they enjoy by holidaying in the visiting country. Medical tourism is basically a very old practice. Anciently in Greece, the patients and pilgrims from the Mediterranean travel to Asklepios, the Healing God’s sanctuary in Epidaurus. In this century, cheap airlines have boosted medical tourism even to faraway places. Chandigarh has been promoted as a Medical Tourism’s destination by the Chandigarh Administration accompanied by major hospitals of the city and surrounding regions. The awesome environment besides an enormous green cover, makes Chandigarh highly potential for Medical Tourism, which is a good opportunity for a patient‘s speedy recovery. Different Private and Public Hospitals provide progressive Medical facilities. Tourists from across India and abroad, come to Chandigarh for their health related problems, to take expertise from the doctors. Chandigarh’s medical tourism though being in its emerging phase, still Chandigarh has a lot of potential to grow into a major medical tourism destination. One of the main reasons behind the growth of medical tourism in India is the ‘not-so-expensive’ treatments.This is the same reason with Chandigarh also. Much stress is being laidby the Chandigarh Administration in order to make Chandigarh a feasible destination for medical tourism in India. According to one of its plans, information booths will be established for the convenience of outpost patients. In February 2009, Medical Tourism has been included in the Market Development Assistance (MDA) Scheme by the Ministry of Tourism. 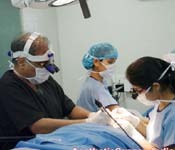 The MDA Scheme provides financial assistance to authorized Medical Tourism Service Providers (MTSP) involved in medical tourism, which includes Hospitals’ Representatives,commissioned by Joint Commission International Accredited Hospitals (JCI) and National Accreditation Board of Hospitals and to Healthcare Providers (NABH) as well as Medical Tourism enablers i.e. Travel Agents or Tour Operators which are authorized by Indian Government’s Tourism Ministry. Only the involvement in authorized fairs or conferences of medical tourism and related shows on roads, receives MDA support. In 2010-11, 10 Service Providers of Medical Tourism received Rs.12.48 lakh and 2 Service Providers of Medical Tourism were sanctioned Rs.2.75 lakh in the present year on 31.10.2011. In India, the three main reasons behind the development of medical tourism are the Quality treatment offered, its Cost and Accessibility. This is main reason why foreign patients choose India rather their own country is the cost of treatments there, which is very high. For instance in India, Facelifts are done at $3000 whereas in USA, the same is for $15,000. In India, replacing knee joint costs one 3500 Pounds whereas in UK, the same will be done at 12000 pounds. India’s corporate hospitals’ have expanded, giving people easy accessibility of world class technology and facilities, 24 hour personal service and a large number of doctors, skilled nurses and paramedic personnel. In UK and US, there are a large percentage of excellent Indian doctors who have boosted the image of Indian doctors worldwide for their experienced training and skills. Foreign patients do not feel hesitant while getting treated from doctors of India as in today’s world, one out of every five doctor is of Indian origin. An important factor behind medical tourism is its convenient accessibility. In UK, the waiting roll stretches to approximately 850,000 and above. Considering the health plans of government, the waiting roll for optional surgeries of 2 years is to be compared between Canada, UK, and India, patients don’t have to wait in India and they have comfortable and amiable access to doctors of India. Their staff speaking in English proves to be an advantage for India as compared to other countries of Asia such as Malaysia and Thailand. Chandigarh is distinguished from other cities of India by two hospitals, situated nearby, having the famous JCI recognition, one is Fortis Hospital in Mohali and the other is Grewal eye institute in Chandigarh. In order to make it easy for the tourists coming for healthcare facilities, the Indian govt. has started the ‘Medical Visa’ provision. To avail Medical Visa or any other information, one can approach Indian Embassies in different countries. Why Chandigarh for Medical Treatments? 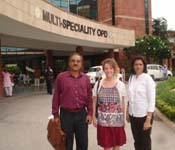 Affordability is the major factor behind the success of India’s medical tourism. If the cost of health treatment in countries like the UK, Canada and the US, are compared with Indian cities including Chandigarh, it comes out to be quite cheap. The hospitals in Chandigarh provide superior surgeries and this is proved by JCI recognition awarded to several esteemed hospitals here. Tourists coming from abroad don’t have to worry about the quality of surgery in hospitals as only superior quality treatment are offered here and these hospitals are part of the Quality Surgery India network which is testament to their technological advancement in medical field in India. The patients in Chandigarh hospitals’ almost don’t have to wait for long, which is a relief for citizens of the UK waiting for months to undergo any medical process within UK’s NHS hospital. In Chandigarh most of the people are literate. To a great extent, people here speak English. Also, the doctors here as well as the staff of hospitals speak English here. Chandigarh is located at the lower slope of Shivalik ranges and is regarded as a neat and tidy city. Its non-polluted environment enables speedy recovery of patients. In a little time from Chandigarh one can reach lower Himalayas’ breathtaking hills. Actually, Chandigarh is a point of rest and refreshment for tourists passing by towards Ladakh and Leh, Jammu and Kashmir and Himachal Pradesh. So, one can extend his healthcare process going on in Chandigarh to a vacation trip. Chandigarh is very close to Delhi i.e. just 250 km (155 miles) which is connected via trains or ac buses.